Courage to Extend our Faith! What incredible days we live in! On the one hand we have so many technological advances, but then–as if to post our foolishness on a billboard, we use our skills to detach body parts from babies! As if that was not enough, we use our supposed logic to justify violence, immorality and sensuality as freedoms but cannot grasp that the increased numbers of wild killings, STD diseases and destructive divorces (along with bruised tag-along children) are inextricably linked to abandoning God’s teaching and ways. God’s people need conviction and courage to stand strong. The plain evidence of the power of God’s truth is nowadays seen more by the pain and foolishness of those who have forsaken it. These past months I have been busily developing resources on the Book of Revelation. This includes blank and filled in charts. Do join us and get these free Revelation resources! Revelation’s patterns are so cleverly repeated that they form a mini message of their own. Our team began teaching a month ago. The book, however, increases in complexity with each step towards the end! It is an interesting time to teach Revelation too! Martyrdom around the world and even in America, blood moon, evil forces stirring in the Middle East like a hornet’s nest and more forces and money flowing into that region, even as I write. I’ll be teaching Revelation for the next two weeks– the seven seals and then the seven trumpets. Pray for grace and wisdom as I continue to prepare resources for a new course next semester on the Holy Spirit. The Holy Spirit is greatly ignored and misunderstood. Our hope, as a team, is to strengthen God’s people to walk in the Spirit! Pray for wisdom as I develop the curriculum from scratch. I have recently taken several steps to further distribute BFF resources around the world. Please pray for God’s Spirit to strengthen His people as the resources go out. For example, I posted a brief note on a missionary blog Friday, and already, by this morning, we have people from Tanzania, China, Zimbabwe and Bangladesh that want to join us to further distribute BFF digital libraries (free in developing countries). This includes our 7 English libraries and seminar resources in more than ten foreign languages. 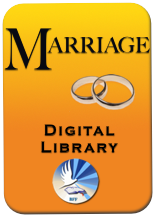 Maybe you can help distribute these digital libraries as gifts: Marriage (for newly-weds), Parenting (for difficulty raising children or struggle with teens), Discipleship #2 (struggles with anxiety, lust or anger), many resources in each library. Distribution is not my forte so do pray that God will further send out BFF resources around the world. Our website has been shifted over to a new dedicated server. Systems updated. Back to normal. I have been able to write new study resources for about 5 lessons for the upcoming course on the Holy Spirit. A pastor in Florida has joined our Revelation class (via links) and even translated some of the handouts into Spanish! Click here and join us. Thankful for others joining us in the worldwide distribution of BFF resources. Three of our children are in college (Allison, Daniel, Kathryn); two at home in school. Teaching Revelation Oct 4th and 11th and preparing assorted Revelation resources. Pray for grace for our oldest daughter, Elizabeth, who lost a baby girl at 20 weeks. Pray for Linda as she oversees our church’s Elementary Sunday School (with about 50 children). She has had to fill in because of lack of teachers. She is teaching 5th grade tomorrow (Oct 4th). Both Allison and Kathryn have special college fund needs. Donations for BFF and family have been lower in recent months. Guidance for where to go next overseas for STM training. The Bible Teaching Commentary on Romans is completed, but editing of several other books continues on! I reformatted the upcoming commentary on Ephesians only to find it was almost 600 pages long! So much editing to do! Paul’s hope is to move forward in new writing this month.